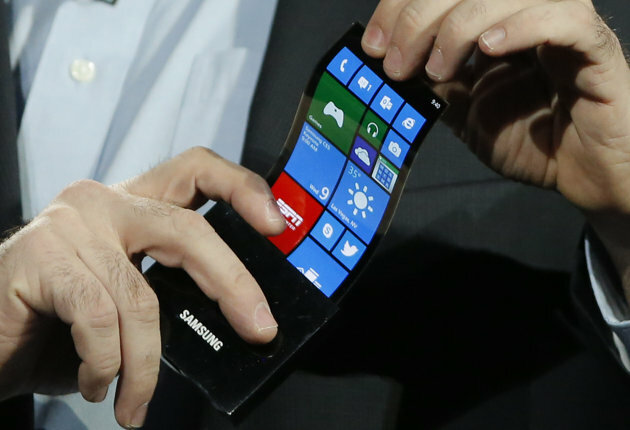 Since long there were rumors that Samsung is working on some flexible, Unbreakable High resolution displays for their new smartphone range and recently at CES 2013, The Korean Tech-Giant Samsung finally revealed 'Youm', A new line of flexible OLED Displays. Brian Berkeley, Senior vice president of Samsung's display lab showed off a prototype of Youm, which can be rolled like a sheet of paper even when the phone is running. According to Berkeley, The display won't break even when dropped and is bendable. It is made of very thin plastic which makes it unbreakable.